DC's extended universe hasn't had the best of starts, has it? Man of Steel opened to a lukewarm reception at best and was hardly the mammoth blockbuster hit it was expected to be, and then Batman v Superman: Dawn of Justice kind of rolled along, pissed everybody off, and just faded away without any cultural impact whatsoever. 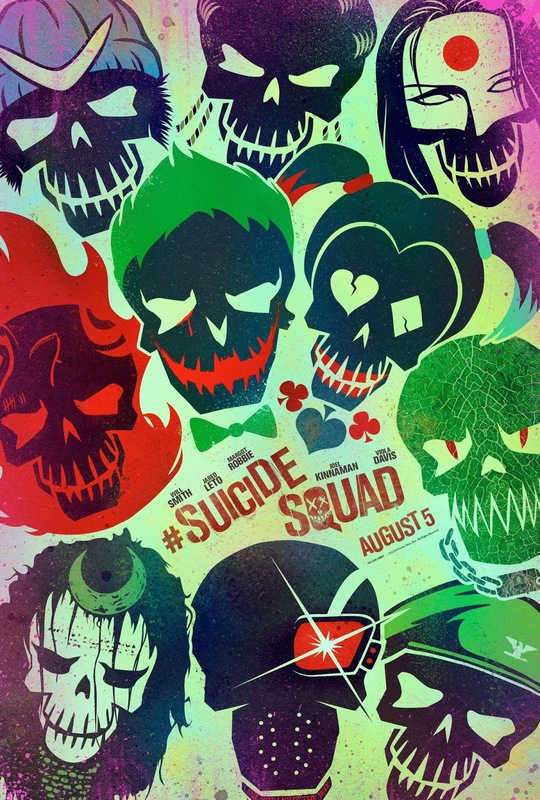 All eyes, then, were on Suicide Squad. The return of the Joker, the first cinematic appearance of Harley Quinn, a killer cast, an awesome soundtrack, a pretty spectacular marketing campaign. The odds were well in its favour to finally kick the DCEU (as it has been dubbed) into the stratosphere and launch it into something even mildly critically successful. I think it's fair to say that Suicide Squad hasn't really achieved any of that, but has instead been an even bigger critical failure than its predecessors and continued the trend of seriously underwhelming efforts on DC's behalf. Where did it all go wrong..
Well, rather early on, in fact. One of Suicide Squad's biggest issues is that it is almost entirely devoid of story. Not only that, it's also seriously lacking in emotion, character and, perhaps most surprisingly, personality. Amanda Waller (Viola Davis) assembles a group of imprisoned "bad guys" - including Deadshot (Will Smith), Harley Quinn (Margot Robbie), Diablo (Jay Hernandez) and Captain Boomerang (Jai Courtney) - and assigns them to defend the city from an attack under the promise that their prison sentences will be reduced should they succeed. There's some hidden agendas going on with Waller, and Quinn is frequently distracted by her infatuation with Joker (Jared Leto), but that base premise is essentially where the film's focus lies. This is a perfectly solid premise and a great foundation to build an exciting film on, yet writer/director David Ayer capitalises on none of what makes this story and these characters so compelling, and instead throws the film away into a CGI extravaganza that has little consideration for any of the people caught up in the crossfire. The most painful thing about Suicide Squad is being made to watch a group of talented actors try their damnedest to give good performances when they're stuck behind a terrible script. Will Smith gets in a few good one liners, but he can't transcend the soppy and predictable back story that Deadshot faces. Jared Leto uses his body language and mannerisms in an attempt to push past some of the downright awful material he's given, and he's mostly successful; it's a shame he's only granted about eight minutes of screen time. The biggest victim here, though, is poor Margot Robbie. Poor, poor Margot Robbie, who injects her character with such charm and fun and life, only to be completely undone by the film's complete refusal to allow her personality and mind frame to ever take centre stage. Here we have an endlessly fascinating character, performed with real conviction, yet the film couldn't care less about her. She gets her five minute opening flashback, and a couple of other ones after that, but there's nothing that truly allows us to see the brilliant doctor she once was, there's nothing that discusses who she is behind the facade. In a brilliantly subtle piece of physical acting by Robbie, one moment shows Quinn sat, empty and heartbroken, on a car, only to spring to life and put on a smile when she notices the other guys walking towards her. More of this insight into who she really is would go an awful, awful long way. It isn't just the characters that this affects, too. Contrary to what those bright and colourful trailers will have you think, Suicide Squad is actually an incredibly dull film. Sure, it's packed with action, but what good is a shootout if you have no interest in all involved? For action to work and for it to feel tense and create a lasting effect, the stakes need to be high. You simply cannot have stakes in a film that offers no one to root for. Had Quinn or Deadshot been allowed a more insightful backstory and a lot more focus on who they really are, these action sequences would have their desired effect. As it stands, they're about as empty as can be. The film also seriously suffers from a structure that just doesn't work. Rather than introducing a threat and then building the threat towards a big final act, Suicide Squad introduces the threat at their peak capacity in the opening act and then simply holds them there for a good ninety minutes before anything actually happens. In this ninety minutes, not one character is explored and not one piece of story surfaces. The group is detoured on a pointless arc that amounts to nothing, and the couple of flashbacks to Harley and Joker's relationship do very little to develop or strengthen either of their characters. It's all wasted time that amounts to little more than a couple of decent laughs and some cool, old school music to listen to. Even technically, Suicide Squad is still a mess. Characters lurch from one side of a room to another within a single cut, as continuity editing is seemingly disregarded and then re-regarded whenever Ayer so chooses. The visual effects surrounding Enchantress (a seriously miscast Cara Delevingne) are unrealistic and, in some cases, laughable. The structure that Ayer has chosen simply does not work; flashbacks appear and disappear regularly and without much smoothness within the storytelling, and the the early introduction of the villain's endgame gives the film a notable lack of forward momentum. Even smaller moments - such as a woman performing a religious gesture when faced with Enchantress, or a brief and misplaced attempt for the abysmal Killer Croc to be funny - fall entirely flat, and a great deal of the film's intended humour fails to stick the landing. Again, it's tough to find people funny if you don't like them, and Suicide Squad has no interest in making us like its characters. It's a real shame, as these guys have the makings of a brilliant lineup, but the film gives them little more to do than look cool and fight people. We've seen that countless times before now, and Ayer has no idea how to make this one any different. In a film that should have been daring and refreshing, we're still subjected to more of that lowly and tiresome same. 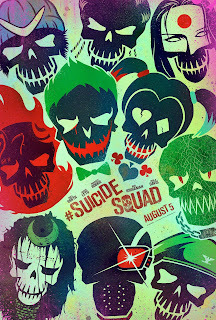 The thing is, when Suicide Squad calms down a bit, it becomes a semi-decent film. A brief sequence inside a bar allows the characters to stop fighting bad guys and simply talk to one another, and it's easily the film's strongest moment. It's by no means a perfect scene - there's still some awkward humour, and the scene itself is centred on a reveal that a good eighty percent of viewers will have seen coming - but it allows the personalities and the thoughts and opinions of these characters to bubble to the surface, and for the first time in the film they finally feel like people rather than action figurines. Harley Quinn's "Normal is just a button on the dryer, sweetie" line is packed with charm and wit, and when this is coupled with the vision Enchantress gives her in the final act we're presented with something genuinely touching. This one short sequence alone, which features nothing but the central cast and straight up dialogue, is the most alive the entire film feels simply because it treats its characters as people. Suicide Squad wants to make a point that even the bad guys can have good traits, but that thought doesn't show up anywhere outside of this short sequence. If the rest of the film was injected with the personality and wit of this one scene then, who knows, maybe Suicide Squad would have had a real shot at being something great. As it stands, it's very far from great, and even if this does represent an improvement over the disastrous Batman v Superman, DC still have a long way to go until they can join the big leagues. To Summarise: It features better humour and performances than other DC efforts, but even these improvements can't overcome Suicide Squad's tepid storytelling, sloppy editing and unforgivably lazy characterisation.